8-40 screws. 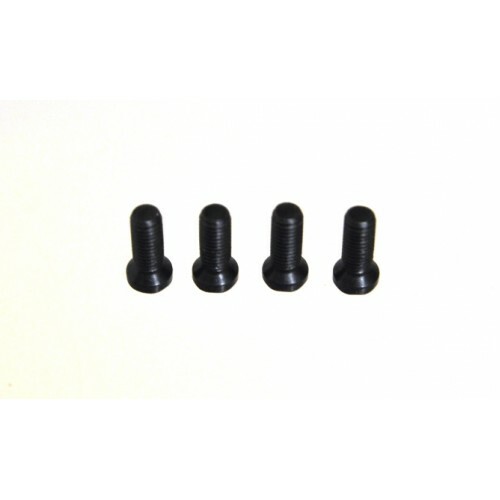 These screws are USA made, T15 Torx head drive, spec hardened for mounting applications, these screws are designed with a 45 degree taper under the head to seat into a 45 degree counterbore that we use on our 8-40 screw hole mounts. This ensures contact 360 degrees around the underneath side of the screw head for perfect alignment to your receiver. Comes in a package of 4 screws. These will not replace screws in our rings use the 6-48 screws for ring caps and standard mounts. Screw Diameter .160" total length is .470".